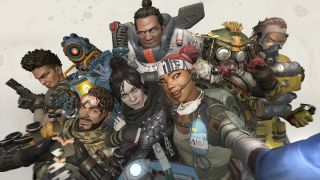 Apex Legends is a rather big deal. I don’t know if you’ve noticed, but it’s rather taken the gaming world by storm, with over 25 million people having registered to play it in the first week. So it’s no surprise that memes have started cropping up about Respawn’s phenomenally-successful Overwatch-meets-Battle-Royale game, and look, I just found so many that I had to share them with you all. Regardless of which Legend you main, there’s enough in here to keep you entertained, but there’s a real danger here this is a time drain to end all time drains, and will make you want to dive right into another match. Teammates are a temperamental bunch, especially if they’re randoms from the internet. These section of memes are for every one of you who’s used the ping system, have watched your squadmates disappear into the distance, or have tried to keep your fool friends in check when you’re landing on the map. Boy, do people hate Mozambique. The shotgun pistol, not the country. That’s what I’m gathering from these memes, and loot as a whole is just a mixed bag in Apex Legends. Loot ticks, the Repulsor Station area and its lies, uncomfortable truths about what you’ll find in the golden creates...it’s all bad here. And this one, which might not fit into any category, but it’s stupid and I love it.